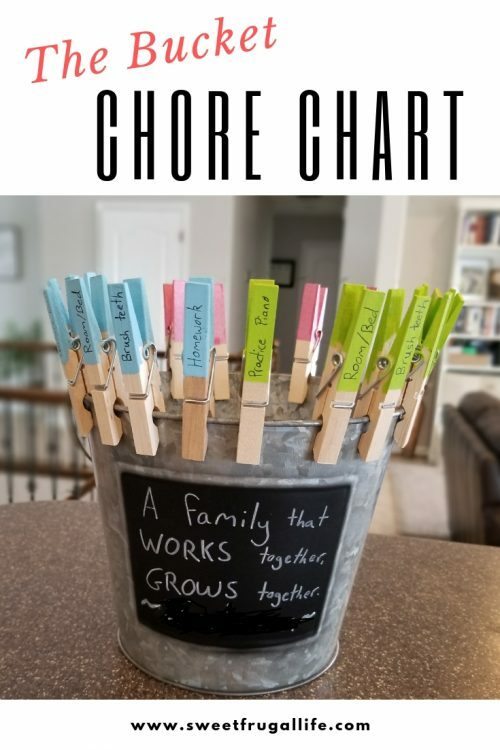 Kids Chore Chart That Works! 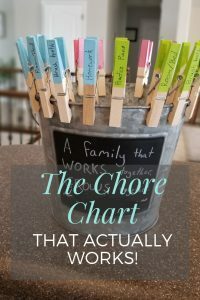 My sister sent me a couple pictures of her brand new chore chart for her kids; and I LOVED it! I begged for her permission to let me share it with all of you! 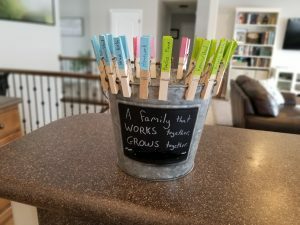 I have regular chores for my kids, and I think this Chore Bucket will be the perfect way to motivate my kids each day. It’s simple, it’s effective, and it’s so cute! A few of my fave things! Use acrylic paint to paint the tips of the clothespin. Use different colors for each child. My sister is using this bucket for three of her kids, so she has three different colors. 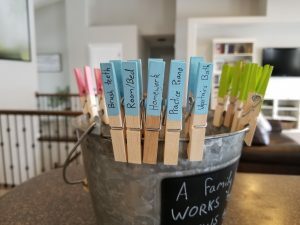 Write the chores on the clothespin. If you need some ideas for chores, check out my article Teaching Kids to Help with Family Chores. Clip those clothespins on the bucket and you’re ready to go! Start the day with all of the clothespins clipped onto the bucket. As your child completes each of their chores they simply grab their clothespin and drop it into the bucket! All it takes is a quick glance at the bucket to see if all of the chores are completed.